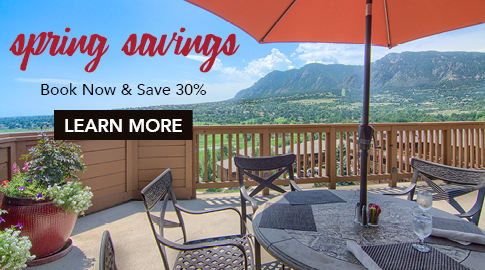 Set at the base of the majestic Rocky Mountains, The Country Club of Colorado at Cheyenne Mountain Resort features a diverse selection of recreational facilities, leisure activities and youth programs that embody Colorado's active spirit. Join a growing community who enjoy staying active, having fun, eating well, and making memories with friends and family. Depending on membership, enjoy year-round, unlimited access or six rounds with guests on our Pete Dye–designed championship course. Club members can indulge at Alluvia Spa with quarterly discounts up to 30% off. Play on 16 indoor/outdoor courts, including five indoor courts, two outdoor clay courts, and four outdoor pickleball courts. Enjoy use of our 50 meter Olympic size pool, newly-renovated and state of the art indoor pool facility, adult pool & hot tub, and kids pool & splash pad. Club members enjoy a 20% discount at all dining outlets. Members have use of our 9,000 square foot multi-tiered, state-of-the-art workout facility, as well as free fitness and aquatics classes. Colorado Country Club members can take advantage of free care for children ages 6 months to 7 years. Recreation memberships: Include use of our pools, private lake and beach, tennis courts, modern fitness center and more. Golf memberships: Also include year-round, unlimited access our championship course. Invite your favorite people to enjoy the benefits of club membership. Refer a friend to become a member and receive a thank you package with complimentary club services and gifts. Plus you can start creating great memories together. (719) 538-4084 for more information. Join us for special member events year-round, such as our book club or our summer concert series. Cheyenne Mountain Resort is perfect for birthday parties, family celebrations and so much more. Or hold your next business meeting with us. Explore your options.